The U.S. Air Force looks to increase the number of Joint Direct Attack Munitions and GBU-39 Small Diameter Bombs the military service procures each year, DoD Buzz reported Tuesday. Lt. Gen. Arnold Bunch, military deputy to Air Force assistance secretary for acquisition, told DoD Buzz the service branch aims to increase annual buy of JDAMs from 36,500 to as many as 45,000. 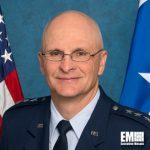 He added the Air Force wants to triple its precision-guided bomb purchases to 8,000 annually and determine if manufacturers face a shortfall of processes or technologies to address the branch’s weapons requirements. Boeing produces tailkits for JDAM and SDB weapons. “If you are in this industry and you are contributing to what is going into the weapons portfolio, and you believe you’re running into issues based on production, or you’re running into quality, we’ve got to know that really quickly,” Bunch was quoted as saying.